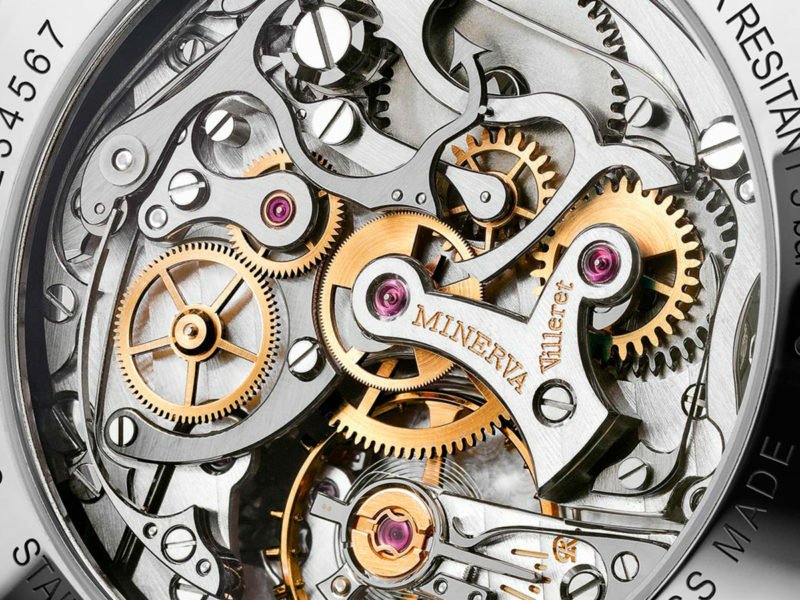 The rich history of Minerva watches stretches back to 1858, when brothers Charles and Hyppolite Robert first brought their exquisite timepieces to the consumer market. The company they founded as H. & C. Robert had multiple names and registered multiple brands over the years. Their most enduring brand, Minerva, launched in 1887 with a name that paid homage to the Roman goddess of wisdom, war, art, agriculture, craftsmanship, and commerce. Godlike in its influence, the Minerva watch continued to play a dominant role in the horology field for more than a century. Since taking up the Minerva mantle in 2000, the Villeret watch manufacturer Montblanc has mastered the art of traditional Minerva craftsmanship. 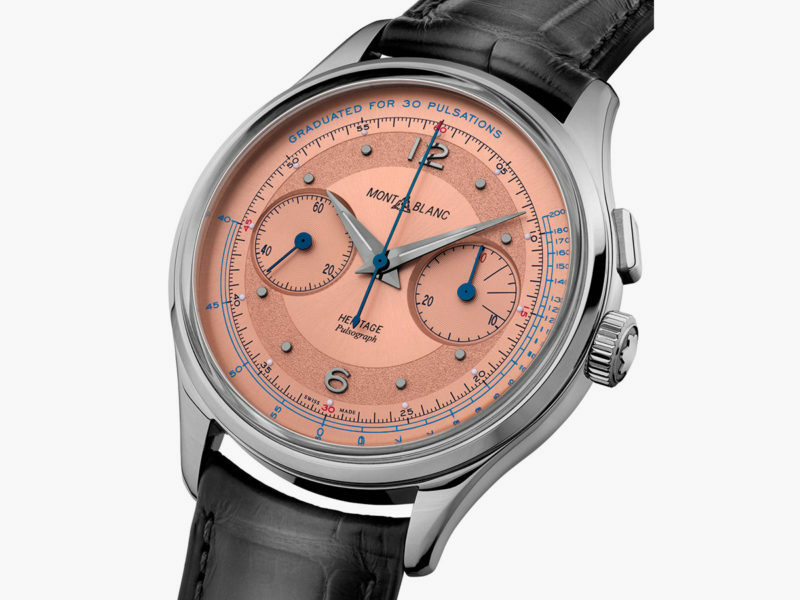 The new Montblanc Heritage Pulsograph Limited Edition features a three-hand dial design reminiscent of Minerva models from the 1940s and 1950s. 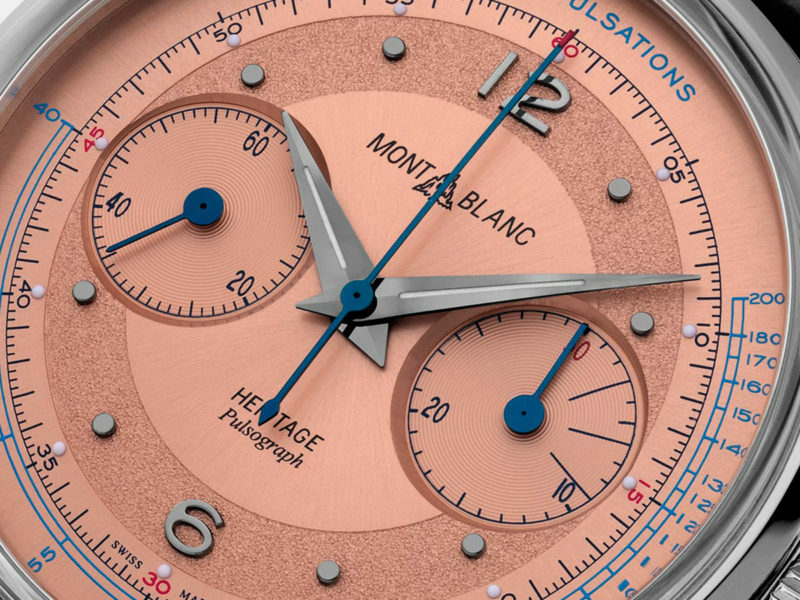 Perfect for the medical professional with a sense of history and style, this watch features an old-fashioned pulsometer (to measure heart rates) in place of the standard chronograph tachymeter. 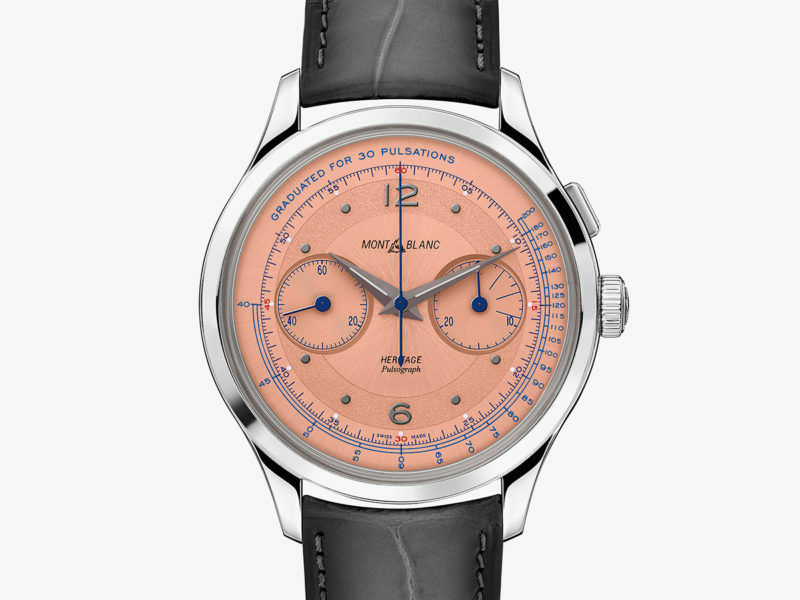 This limited edition watch features a lovely salmon dial, a 40mm steel case, a beautiful in-house Minerva hand-wound movement, and a sapphire caseback from which to admire it. Discontent to rest on the well-established laurels of its iconic Royal Oak, Audemars Piguet introduces the CODE 11.59. Analog watch, fitness tracker, and go-everywhere Electrocardiogram (ECG).